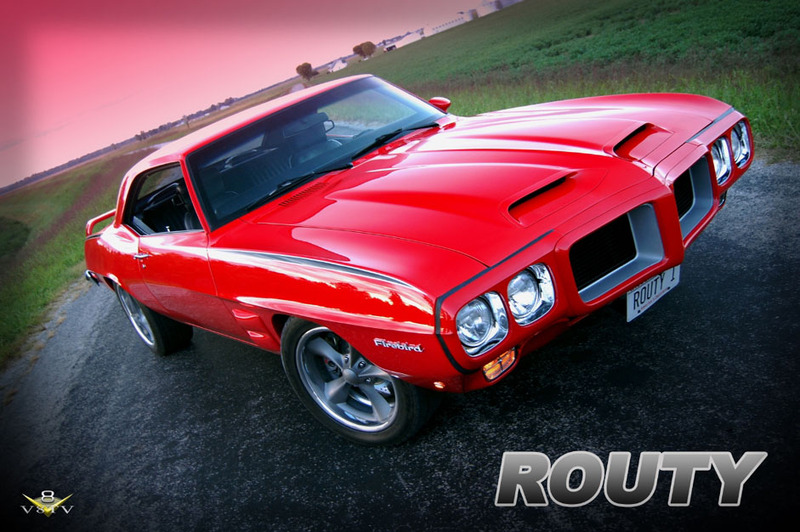 This 1969 Pontiac Firebird named "Routy" was in pretty good shape when the V8 Speed & Resto Shop crew started in on it, and here we'll take you through the whole process taken to bring this down-trodden 'bird back from the ashes and flying high again! This project began when the owner found a deal on a partially-finished 1969 Pontiac Firebird. The car came with some of the metalwork already completed, including a new pair of quarter panels installed, and the car was loosely bolted together and mostly in primer. At first glance, the car appeared to be pretty solid, but we all know how that can go. The stock subframe had been painted a gloss black, but we anticipated restoring this. The owner also supplied an already rebuilt Pontiac 400 V8 wrapped in plastic. One of the first tasks was to determine the direction of the project, and we commissioned Ben Hermance at Hermance Design to come up with a rendering. 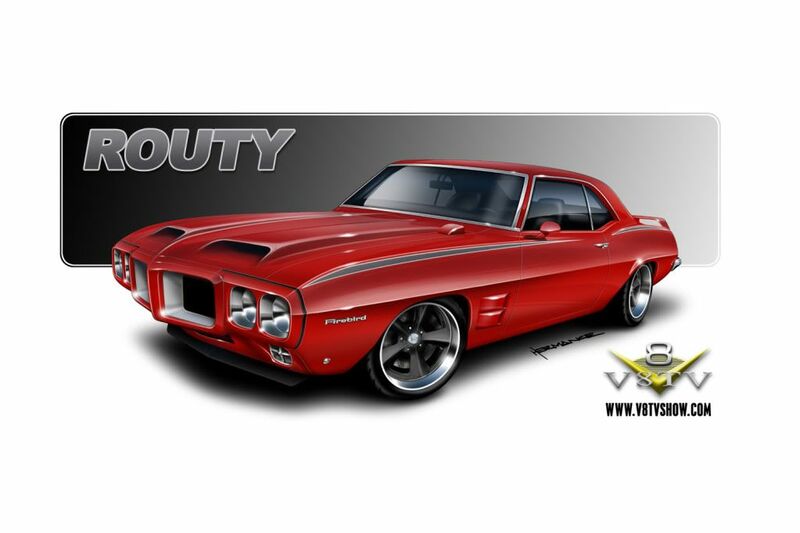 The plan was to utilize some Trans Am elements, modify the GTO Judge stripe, and wrap it all up in a mild pro-touring style Firebird. We think Ben did a fantastic job of nailing the look, as well as keeping Pontiac "DNA" in the design. We chose DuPont Hot Hues Red Hot Meltdown for the red on the body. Last Edit: 24 Dec 2014 08:50 by oestek. The crew began removing the front sheet metal to prepare the body tub to be mounted on the rotisserie. The car arrived with a stock GM disc brake setup that would be removed in favor of a larger diameter performance brake setup. The subframe was removed to be checked for squareness and to be looked-over to see if repairs were needed. Last Edit: 01 Feb 2015 16:19 by oestek.